What Are the Best Glasses Lenses in 2019? Home » What Are the Best Glasses Lenses in 2019? In 2019, consumers have a wide range of glasses lenses and frames available. If you are looking to purchase a new pair of glasses, it can be hard to know where to begin your search. Doctors also weigh in on how to go about looking for a good pair of glasses. (Learn More) Learn more about certain features you should keep as your main priority. When putting together the perfect pair of eyeglasses for yourself, it is important to consider what type of lenses you want. A lot of emphasis is put on the frames, for their comfort and aesthetic effects, but the lenses are just as important. Lenses make a huge impact on your clarity of vision and the safety of the glasses. They also add to the overall look of the glasses. Though it provides excellent optics and is available at a low cost, glass is not used very commonly anymore due to its weight and breakability. This is a popular lens option due to being lightweight and low-cost while still providing excellent optics. This options is lightweight (even lighter than high-index plastics), low-cost, and highly durable. High-index plastics. Thinner than traditional plastic lenses, these lenses are ideal for people looking for thin lightweight glasses that still provide excellent optics. In addition to which type of lens you choose, there are different types of lens treatments available. Anti-scratch coating. This is highly recommended for all lightweight and softer plastic lenses. Anti-reflective coating. Recommended for all lens types, this coating helps to eliminate reflection to improve visibility and eye contact. UV-blocking treatment. UV protection is built into most high-index plastic and polycarbonate lenses, but you will need to have a UV-blocking coating put on to CR-39 plastic lenses. Photochromic treatment. Available for almost all lens materials, this treatment causes lenses to darken automatically in sunlight and return to clear when you go back inside. In addition to a variety of lens types to choose from, there are many different styles of frames available. 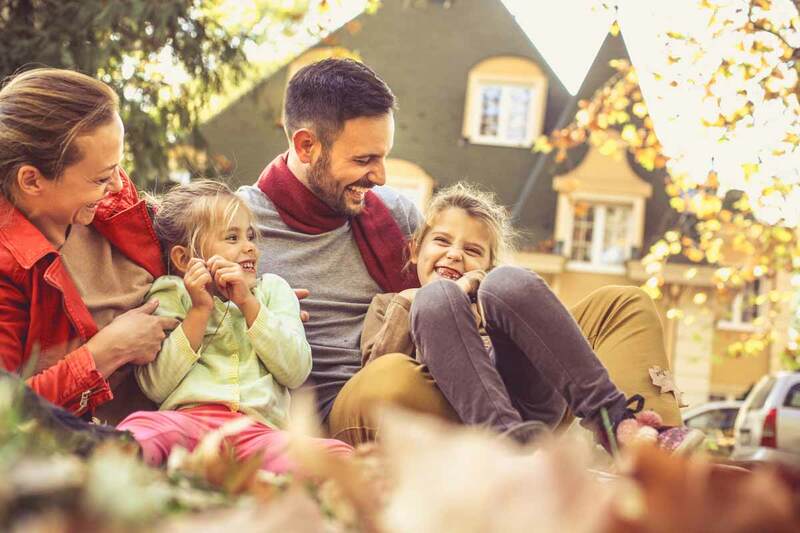 Frames have less of an impact on the quality of vision you will achieve through your glasses than lenses do, but they do make a big difference on comfort and overall experience. The type of statement you want to make with your glasses will help you determine which types of frames are best for you. Look for frames that are functional as well as enjoyable to wear. Selecting the best brand and style of glasses is a personal decision that depends on what glasses features are most important to you. Nonetheless, some brands remain more popular than others due to price, style, and quality. 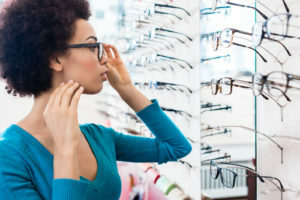 What is a favorite eyeglass brand for one person may not be at the top of this list for another, but recognizing consistently high-ranked brands can help you narrow down your search. Many people struggle with finding a good pair at the right price point. Most of the brands listed above are high-end companies that don’t sell products at bargain prices. Their quality, however, lives up to the prices they are sold for. If you are able to find a pair of frames and lenses you like from any of the above companies, the price investment is likely to be returned in the quality of product you receive. When it comes down to it, selecting the right pair of glasses is about personal choice and what eyeglass factors are the most important for you. Some people use their glasses as an opportunity to make a fashion statement and emphasize the aesthetic aspects of their frames, while other people place higher value on fit and function that will support their lifestyle. No matter what your priorities are, here are some guidelines to help you choose the right pair of frames for you. Consider your face shape. For a round face, opt for square or rectangular frames. For an oval face, consider geometric frames with a strong bridge that is wider than the broadest part of your face. 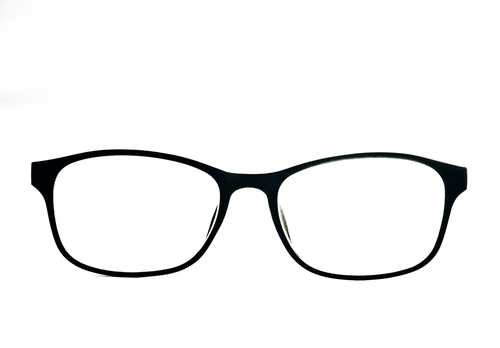 For a square face, oval or round glasses help to soften angles and provide good balance. For a heart-shaped face, round or square glasses with a heavier bottom frame line help to balance the shape of the face. Consider your skin tone. Select a color for your frames that is closest to your skin tone. Warm, bronze, or golden skin tones match well with tortoise, brown shades, gold, honey, beige, or olive greens. Light, cool skin tones are complemented well by silver, black, pink, purple, mauve, or gray colors. Consider your lifestyle. Flexible and durable frames may be most appropriate for people leading active outdoor lifestyles, while some frames and lenses are designed specifically for people who are often on the computer, such as gamers. Consider your personality. Make sure your frames say what you want them to about your personality. Sometimes, multiple frames are appropriate to showcase the adventurer in you on the weekends and the professional in you during the workweek. With nearly 80 percent of Americans over the age of 55 needing prescription lenses, doctors encourage their patients to stay focused on the aspects of glasses that are the most important when shopping for a new pair. An average pair of prescription glasses costs a couple hundred dollars, so it is important to spend money on the features that count. Doctors remind patients to select glasses and lenses based on their prescription and what meets their vision requirements most effectively. High-end brands of fashion glasses provide beautiful products, but make sure they provide the product you need before you pay extra for the label. Prioritize your shopping based on lens type and lens treatments that you desire. You can then shop around to find the best deal on frames that will accommodate your lens needs and meet your style preferences. 4 Things to Know About Shopping for Eyeglasses. (November 2013). AARP. Four Factors to Choosing Eyeglass Frames. (2019). Vision Service Plan. How to Choose the Best Lenses for Your Glasses. (August 2018). All About Vision. The Best Eyewear Brands. Ranker. The Ultimate Guide to Finding the Perfect Pair of Glasses. Coastal. Will You Need Glasses (for Reading & More) After LASIK? Will You Need Glasses After Cataract Surgery? Why? What Are the Best Macular Degeneration Glasses in 2019? How Frequently Do You Really Have to Change Your Glasses? Can Glasses Actually Make Your Vision Worse?